I shared my homemade chewable vitamin recipe for kids (or adults) in the past and while that is definitely the crowd favorite at our house, I also wanted to share my herbal liquid vitamin recipe. 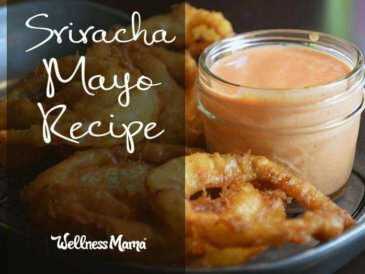 This recipe is basically an herbal tincture made with certain high-nutrient herbs to create a liquid multi-vitamin. It can easily be customized and can be for children or adults. I also make a pregnancy specific one that I will be sharing soon. 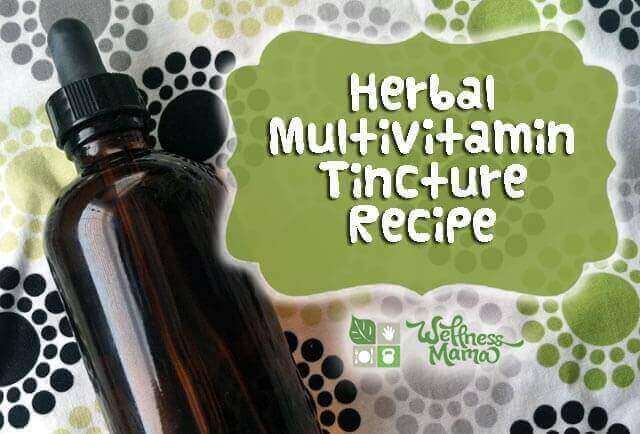 The process of making an herbal multivitamin tincture is the same process used to make any herbal tincture, but the specific herbs are high nutrient and make an excellent vitamin. Please note that you should do your own research and/or consult a doctor before taking any herbs or giving them to children! Like I said, my kids prefer the chewable/gummy vitamins, which are also a great source of gelatin, but this tincture contains a higher concentration of some vitamins and minerals from the herbs, and is more concentrated. 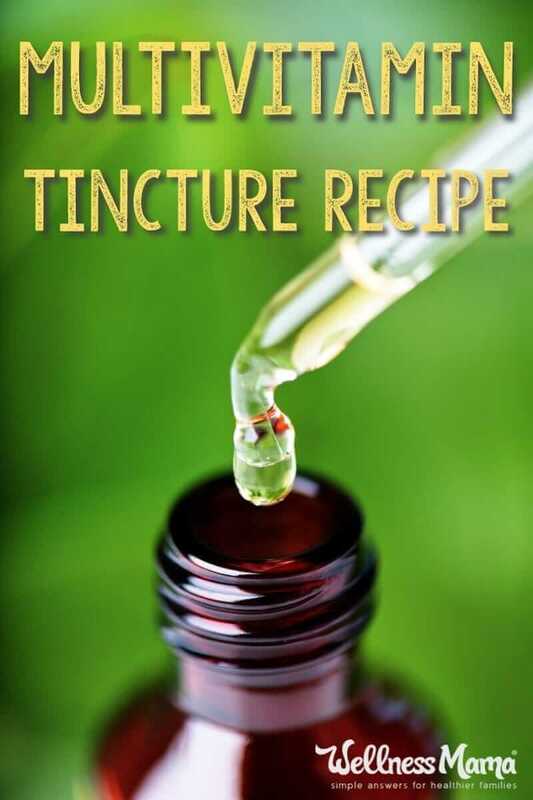 A person only needs a tiny amount of this tincture to get a good dose of vitamins/minerals, making it useful during illness or when it is hard to keep food down (early pregnancy, etc). Homemade herbal multivitamins are also an inexpensive way to get necessary vitamins and minerals without the additives and fillers that are often found in commercial vitamins. Since the minerals are coming from natural plant sources (the herbs) they are more likely to be in balance than synthetic versions and their natural synergism helps increase absorption. 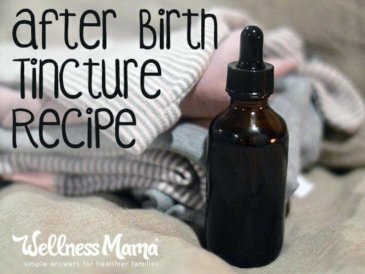 If made correctly, herbal vitamin tinctures can also taste great and be an easy way to get little ones to take vitamins! It is very important to research and only use herbs that can be safely taken long term when making a tincture that will be taken regularly (especially by children). 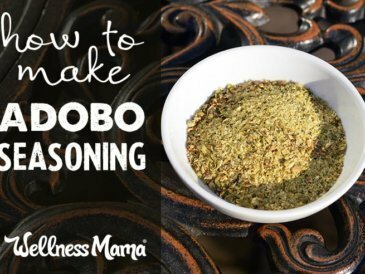 I’ve shared my own recipe below, but I strongly encourage you to do your own research and determine the best herbs for your family before making this or any other herbal recipe! Alfalfa is often called “nature’s multivitamin” for its high concentration of many vitamins and minerals. Most notably, it contains eight essential amino acids, Vitamin K and has the highest chlorophyll content of any plant (which is why I also use it in my pregnancy tea). Red Raspberry Leaf is one of my favorite herbs, and I take it during the latter half of my pregnancies. It contains B-Vitamins, Vitamins C, E and A, as well as calcium, magnesium, potassium and phosphorus. 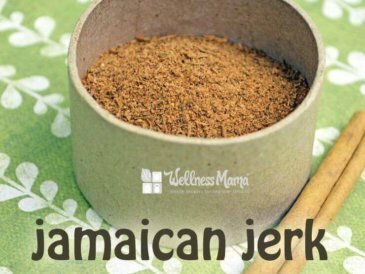 It is a favorite for pregnant women for its ability to tone the uterus and make labor easier (and I wonder if this is due to its magnesium content, as magnesium was extremely helpful to me during pregnancy). Dandelion leaf is also very high in vitamins and minerals, especially calcium. It is the same type of dandelion that grows as a weed in your backyard, and its root, leaves and even flowers can be used in many ways! Dandelion leaf is said to be great for the digestive system, liver, pancreas gall-bladder and circulatory system. Stevia is simply used for taste, and I’ve also used peppermint leaf in the past for the kids, but prefer not to use large amount of this during pregnancy or in very small children, so I usually leave it out of the multivitamin tincture. I mix in whatever quantity needed, usually 1 part=1/4 cup, or by weight 1 part=1 ounce. Fill the jar 1/3 to 1/2 full with dried herbs. Filling half full will make a stronger tincture. Do not pack down. Fill the rest of the jar (or the entire jar if not using hot water too) with alcohol and stir with a clean spoon. NOTE: The alcohol can be evaporated before use (see below) or a tincture can be made in the same way using apple cider vinegar, though it will need to be stored in the fridge and will only last 3-6 months… and it will not be as palatable! Fill the rest of the jar (or the entire jar if not using hot water too) with glycerine and stir with a clean spoon. Place a wash cloth or silicon baking mat (to keep jar from breaking) in the bottom of a crock pot with a “keep warm” or very low setting. Fill the crock pot up with water to cover 3/4 of the jar (don’t cover the lid!) and turn on the lowest setting. Keep in slow-cooker/crock pot for at least 1 day on this setting, adding water as needed (I’ve done up to three days). Let cool, strain and use as a regular tincture. 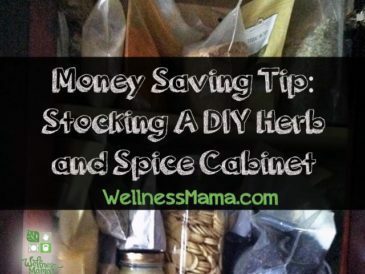 When I haven’t had the time or supplies to make a tincture, I’ve also used the same herbal combination to make a basic infusion instead or added the dried herbs to smoothies. To make an infusion, I pour 1/2 gallon of boiling water over 1 cup of the herb mixture, cover and leave overnight to steep. For smoothies, I add 1 tablespoon of the dried herb powder to smoothies. Note that neither of these will be as strong as a tincture! 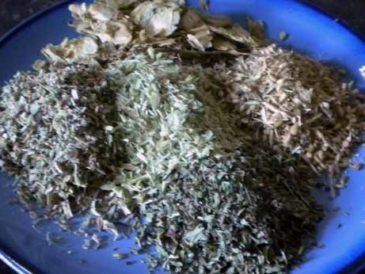 Ever made herbal vitamins? What did you use? Share below!